Together with our working flock of more than 1 200 Indian Runner Ducks on the farm, we are one of Africa’s proud pioneers of a very unique, integrated pest management program. This waddling workforce is essential to the farm’s pest-control, consuming a startling amount of snails and bugs on their daily patrols. The ducks are also a big part of why Vergenoegd Löw proudly carries WWF biodiversity certification. We utilize Indian Runner Ducks at the Vergenoegd Löw farm to assist in the control of the snail and pest population in our vineyards, a practice we have been refining since 1984. We have a basic research and breeding program in place to keep our workforce of ducks productive, healthy and happy. Intrigued guests can take a tour of the duck pens and “breeding room” with one of our friendly duck herders! 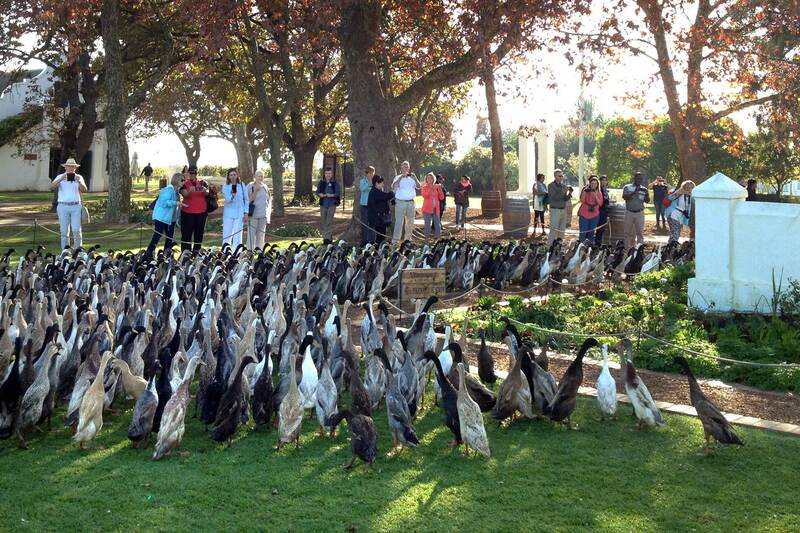 Come and cheer the ducks on their way then stay a while and let us help you unfold the full Vergenoegd experience. 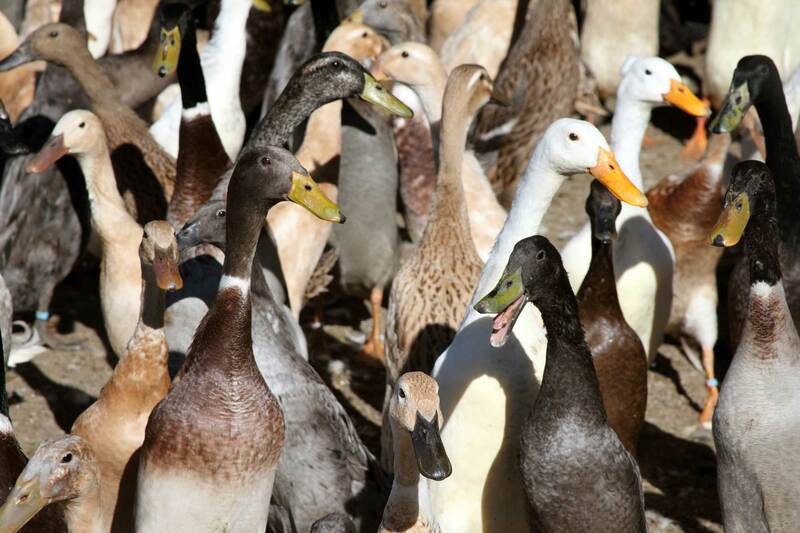 During the breeding season, our army of ducks are split into working and breeding groups. 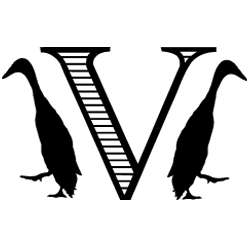 During this period, you will see less ducks in the parade and in the vineyards. An amusing daily ritual at Vergenoegd where our flock of Indian Runner Ducks line-up in eager anticipation of their day in the vineyards. Come and join The Duck Parade today!